The meeting has been a milestone of SIRIUS’ action as it finalised the legal establishment process of the network. 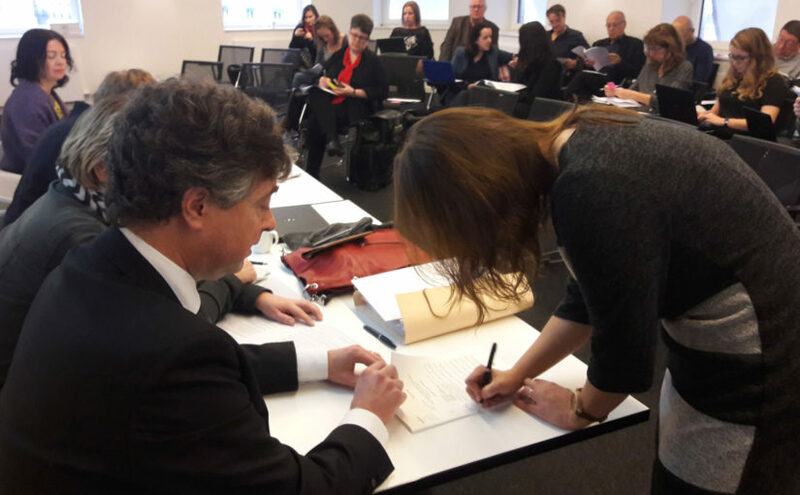 On the basis of a 3-year successful cooperation initiated in 2012, member organisations gathered in Brussels to sign SIRIUS’ founding regulatory documents. The Assembly also defined the key priorities to be pursued by the network in the upcoming years and evaluated the new EC call for “A framework Partnership Agreement with a European Policy Network in the field of education of children and young people with a migrant”, as a relevant opportunity to provide long-term sustainability to the newly established association.